West siders who complain about having to drive “all the way” to the Arts District for Smorgasburg won’t have to go very far for delicious eats this weekend. 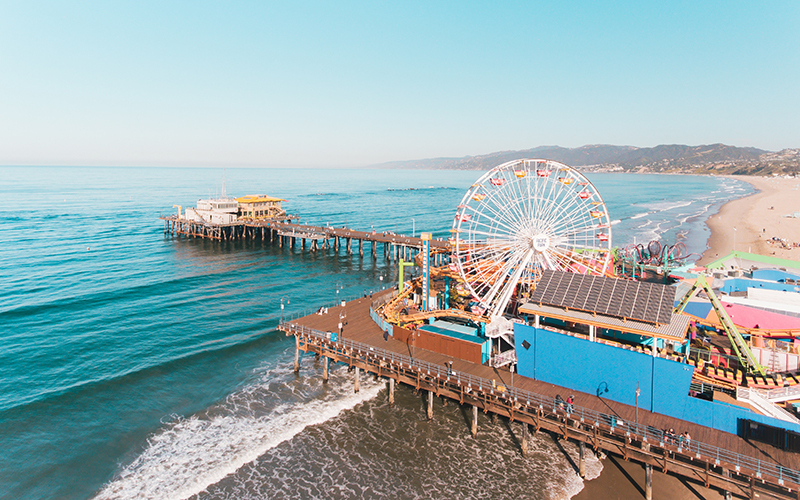 The second annual Smorgasburg Pop-Up on the Pier is going down at Santa Monica Pier from 11 a.m.-5 p.m., and more than 70 regular vendors—Amazebowls, Jolly Oyster, Donut Friend, Goa Taco—will be on site. As a special and super California-y treat, ten vendors have even come up with avocado-themed dishes: Nashville Hot Fried Avocado from Rooster Republic, Avocado Halo Halo from Wanderlust Creamery, and more. As always, the event is free. Pork is the only white meat at this bonkers exultation of heritage pig at Santa Monica’s Viceroy hotel, where five chefs including Sammy Monsour of Preux & Proper and Hugo Bolanos of Wolfgang Puck at the Hotel Bel-Air compete in a nose-to-tail charity cook-off. Indulge in heavenly tartare made by Hinoki & the Bird’s Brandon Kida, a cheese bar curated by DTLA Cheese’s Lydia Clarke, and lots of booze to wash it down. If all pork everything isn’t your speed, hold out for NoHo’s Vegan Street Fair on March 25. Everyone’s favorite homegrown Americana/folk/swing/soul orchestra is headlining the third annual Brighter Sun Benefit Concert at the El Rey, going down this Saturday. The show is in honor of the Michael Bonanomi Foundation, whose namesake was killed in a hit-and-run accident in 2013. All proceeds (tickets start at $20) will go towards children pursuing their own musical talents; pop for the $75 VIP ticket (for a good cause, people!) and you’ll get preferred seating, two free drinks, access to a private upstairs lounge, and entry into a raffle. If you don’t have much on your plate this weekend, consider taking a quick road trip to the desert. You’ve got two weeks to grab a courtside seat at Oracle founder Larry Ellison’s Indian Wells Tennis Garden, where this year’s players in the BNP Paribas tennis tournament will vie for more than $10 million in prize money (yes, we all chose the wrong career). While you’re there, be a little bougie and grab a meal at the outpost of either Nobu or Spago. Or both, because YOLO.